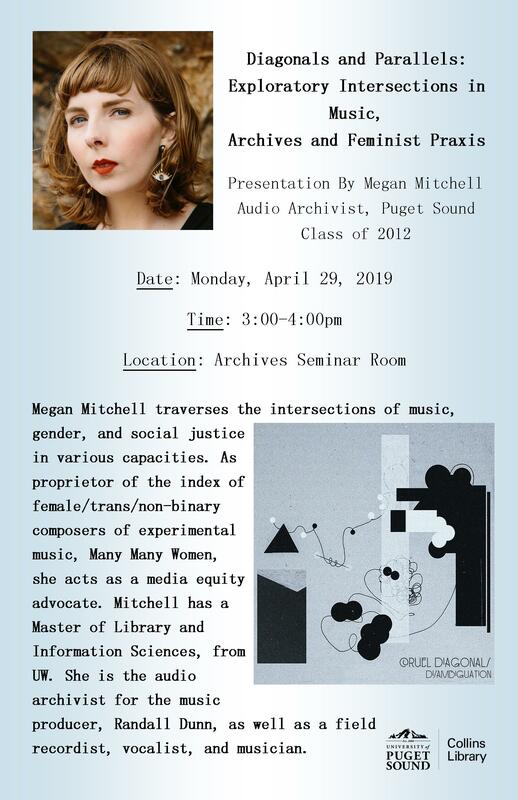 Megan Mitchell traverses the intersections of music, gender, and social justice in various capacities. As proprietor of the index of female/trans/non-binary composers of experimental music, Many Many Women, she acts as a media equity advocate. Mitchell has a Master of Library and Information Sciences, from UW. She is the audio archivist for the music producer, Randall Dunn, as well as a field recordist, vocalist, and musician.